Please note that the provided credit card should be valid for at least 120 days from day of rental start. Unfortunately we do not accept American Express, Diners Club (accepted for PayPal payments only) or electron cards. PLEASE NOTE: You should have sufficient funds on your credit card to have the chosen level of Insurance Excess blocked (authorization only) on your credit card. No vehicle will be released without a successful authorization of the chosen excess amount. Please be aware that a payment by credit card (via secure server or speed point machine) is always in local currency (Namibian Dollar). This might result in a (slight) deviation between the quoted Euro amount and the deducted amount which will be shown on your bank statement, caused by different exchange rates used by the banks and credit card companies involved. 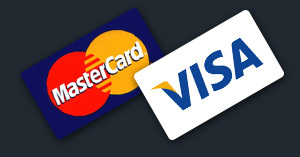 Payments by credit card using PayPal are always in Euro.